What do pom poms, baby dolls, and Ricky Schroeder have in common? Not much, except for the fact that I had a passion for them when I was a young girl. During its television run, I never missed an episode of Silver Spoons, starring my favorite blonde-headed obsession, Ricky. My pom poms were always shaking for I spent every waking moment ( and probably a few sleeping moments) practicing cheer moves and cartwheels. When I wasn’t cheering or watching TV, I was playing house, school, and grocery store with my baby dolls. 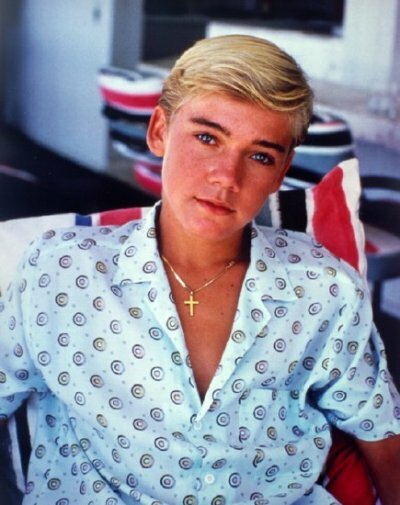 Those passions encouraged me to dream of one day becoming Ricky Schroder’s wife and mother of his children while maintaining a career as a Dallas Cowboys Cheerleader. I know some of you may be chuckling to yourself, “What silly dreams?” But before you laugh, think about all the times you wrote your name and attached it to Elvis Presley’s or maybe even one of those mop-haired Beatle boys. What about Tom Cruise’s? Or could it be that you were obsessed with Barbie’s wonderfully pink world of sports coupes, beach houses, and RVs which were occupied by the entire Barbie ensemble? Some of you may have covered your rooms in collections of stuffed animals, Cabbage Patch dolls, tie-dyed clothes, or even Beanie Babies. Whatever it was, I am sure that you can identify with being obsessed with something during your younger years. If the childhood obsessions do not come back so quickly, maybe reminiscing about more recent times can help. As a woman in today’s world, we have a tendency to become obsessed with all the different roles society tells us to play. Our career can lead us to being overly passionate about climbing the corporate ladder or pursuing a better education. Our desires for the perfect family can initiate an obsession for angelic, popular, and successful children, or for the strongest and most romantic marriage. In addition, our passion to obtain a higher social position can lead us to be obsessed with our body image and having the right wardrobe. While a little passion about each of these can be helpful and productive, too much can be frustrating, controlling, and ultimately destructive. Most people would agree that having an obsession or uncontrollable passion is a negative thing, but what if you were given a magnificent obsession that consumed every thought, word, and deed and also gave your life a glorious purpose instead of destroying it. Can such a thing exist, you ask? This singular positive obsession is an uncontrollable passion for Christ. When it is pursued with devoted prayer and Bible study, the results can only be positive. In contrast, take a look back a what those childhood collections of stuffed animals and Cabbage Patch kids gained you – nothing. Matthew 6:19 encourages our obsession with God: “Do not store up for yourselves treasures here on earth where moth and rust destroy and thieves break in and steal. Store up treasure in heaven where moths and rust cannot destroy and thieves cannot break in and steal.” By “collecting” bible study time, prayerful moments, and fellowship with other believers, you store up a treasure in heaven that is priceless and can never be taken away or lost. Similarly, those innocent fantasies we had for various movie and rock stars never became a reality — Ricky Schroder never showed up at my door with flowers, and he surely never asked me to become his wife and mother his children. Yet my God promises, “If you seek Him, He will be found by you” (1 Chronicles 28:9). My obsession with seeking God promises that I will find Him. In addition, remember those walls we decorated with Teen Beat posters, album covers, pictures of beauty queens, collections of dolls and stuffed animals; eventually, each one was taken down and put away. However, our passion for Christ compels us to redecorate the rooms of our hearts with His word. This new interior design is invincible: “The grass withers and the flower falls but the word of the Lord stands forever” (Isaiah 40:8). This God obsession continues to be positive as we plaster His word all over our lives: “Hide His word in our heart, so that we might not sin against Him” (Psalms 119:11, NIV, italics mine). Finally, even those adult passions can lead to our downfall: “For what does it profit a woman to gain the whole world — with a perfect family, super-model body, successful career, and inspiring marriage — yet lose her own soul” (Luke 9:25, NIV, italics mine). After all these years, my pom poms have been shelved, baby dolls passed down to my sweet little girl, and Ricky has married someone else, but my obsession with the Lord still burns white hot. This entry was posted in Uncategorized on October 3, 2008 by aliciachall28. Your blog was so encouraging! Unfortunately, I have not a clue who Ricky is or the Silver Spoons but Luke Perry and New Kids on the Block filled my daydreams! I am doing the Bible study right now For Women Only. I didn't think it was going to challenge me as much as it does. God has really been pushing some of my buttons lately! But a passion for God is such a secure place to be.So, I didn't ask today, but do you go to the same gym I mentioned to you today? If so, we can meet up sometime. Great thoughts!I was remembering my crush on Ricky as well as Kirk Cameron. Thank you for a wonderful blessing this morning!